Obituary for Alexander "Alex" K. Passeno | Stone Funeral Home, Inc.
Alexander “Alex” Karl Passeno, age 23 of Cheboygan passed away Sunday, February 3, 2019 at his home. He was born August 15,1995 in Cheboygan, the son of Mark and Jayne (Wixson) Passeno and graduated from Cheboygan High School in 2014. Alex worked for Kokosing/Durocher Marine as a crane operator. He had a lust for life and was always looking for adventure. From a very young age he had a love of flying, working with his dad in crane/marine construction. Alex attained his pilot’s license at the age of 19 and was a certified crane operator. 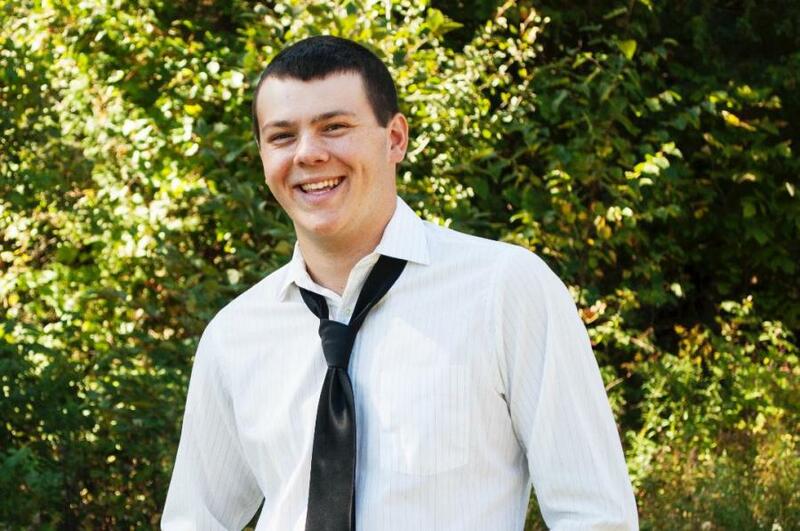 Alex’s interests included motorcycles, deer hunting, boating, and flying. Anyone who knew Alex was blessed. He was a wonderful son, brother, grandson, nephew, cousin, uncle, friend, co-worker and person. He was a young man ready to launch into life. Survivors include his parents, Mark and Jayne Passeno, his sister, Victoria Rose Passeno, and his nephew Ethan MacLeod all of Cheboygan, his grandparents, Karl Wixson and Gracy Gwilt, JoAnn (Goodrich) and Wayne Johnson, Clint and Beverly Passeno, his aunts and uncles, Connie (Wixson) and Dave Senkin, Duane and Jennifer Wixson, Randy and Penny Passeno, Robert and Debbie Passeno, Tami (Passeno) and Mark Krohn, Jeff and Sherry Passeno, and Valerie (Passeno) and Hans Keiling as well as numerous cousins. Visitation will take place at the Nordman-Christian Funeral Home on Wednesday, February 6 from 6:00-8:00 PM with a vigil service beginning at 7:00 PM. The funeral mass will take place at St. Mary/St. Charles Catholic Church on Thursday, February 7, at 11:00 AM with the family greeting friends one hour prior to mass. Memorial contributions may be directed to Bishop Baraga School.